GREY WOLF is a purpose-built, compact Explorer Yacht that boasts transoceanic range, large interior volume and an environmentally-friendly footprint. 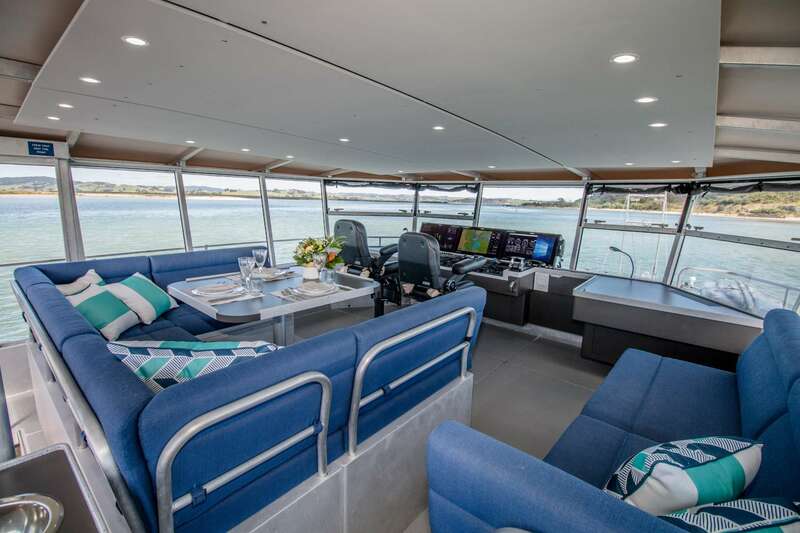 She was built in New Zealand by Circa Marine and delivered in 2017. 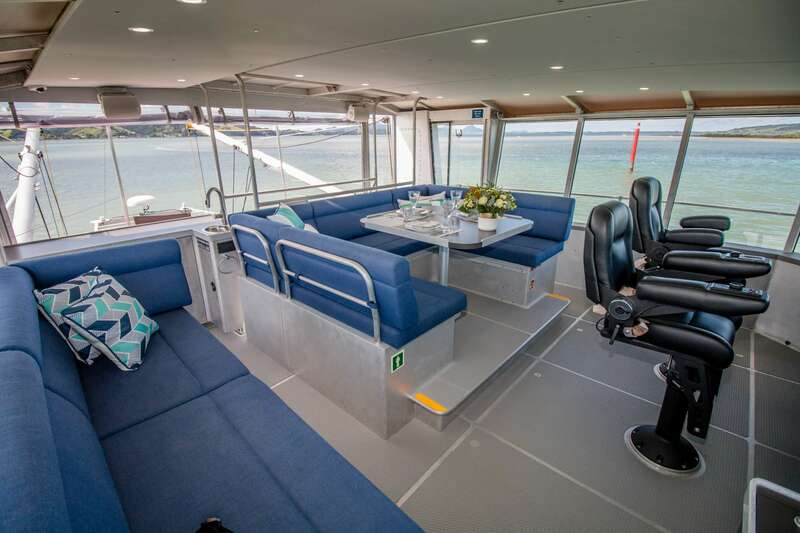 Aluminum hull and superstructure are designed to MCA Category 0, the highest worldwide safety rating available, so there are no limits to your adventure. 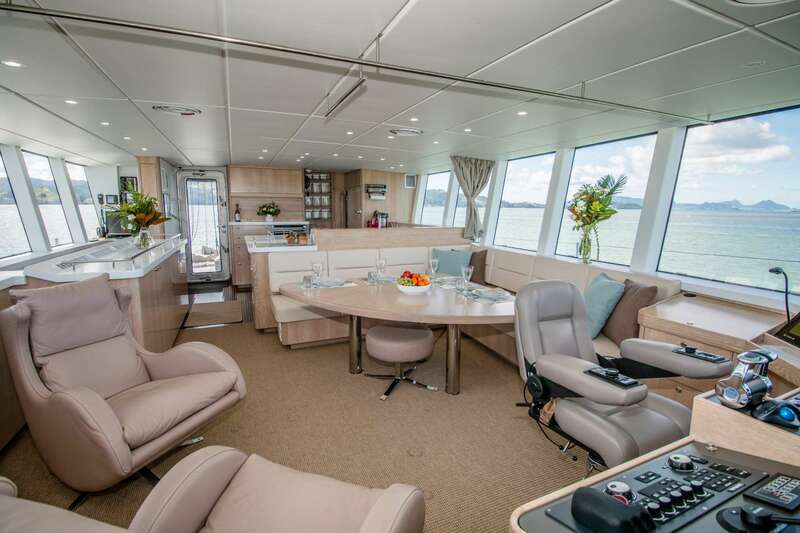 The main deck layout positions the salon forward, dining midship and galley aft, completely surrounded by oversize windows for panoramic views. Let the sun shine in, or touch a button and shades descend for complete privacy. 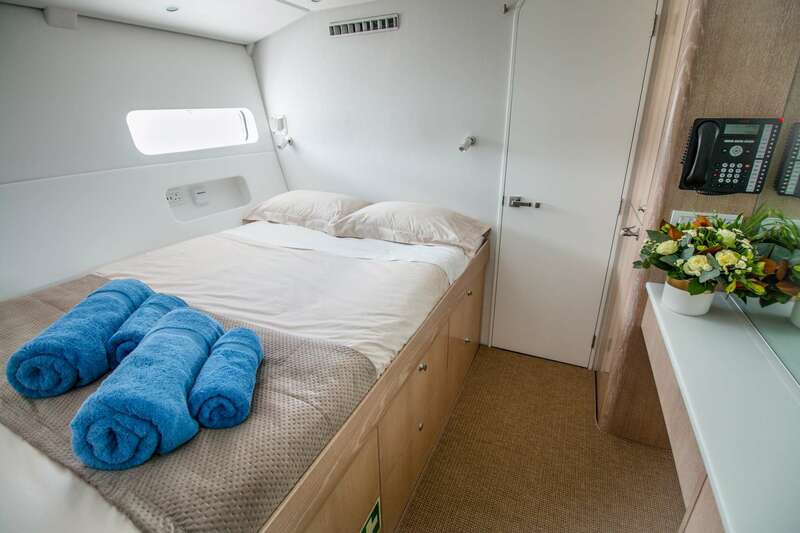 Roomy accommodation for up to six guests includes an owner's cabin in the bow, and two double cabins amidships. GREY WOLF treads lightly, with comprehensive solar systems and fuel-efficient, Lugger diesel engines. 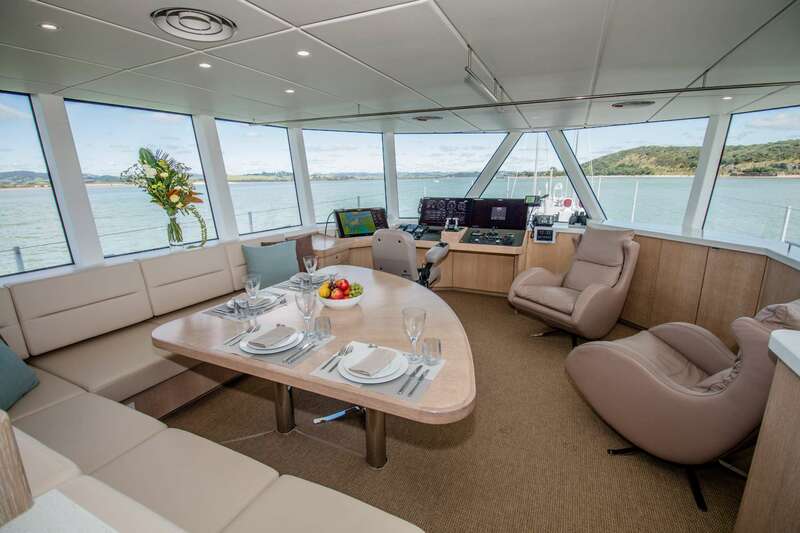 She intelligently incorporates state-of-the-art technology without sacrifice to luxury at sea and comfortable cruising. Join GREY WOLF as she sails the seven seas. Explore the planet’s wild and remote places. Thought your dream voyage couldn’t come true? Think again. 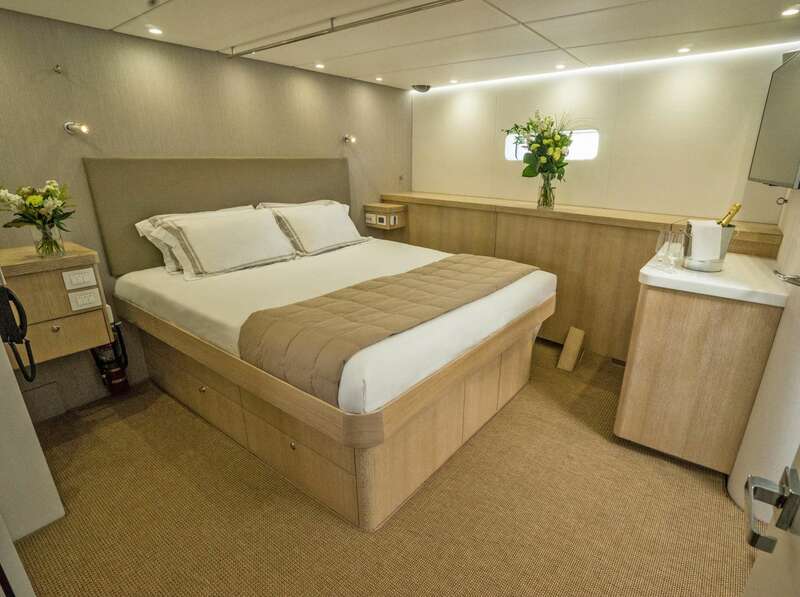 Grey Wolf's interior layout sleeps up to 6 guests in 3 staterooms, including a master suite and two double cabins. 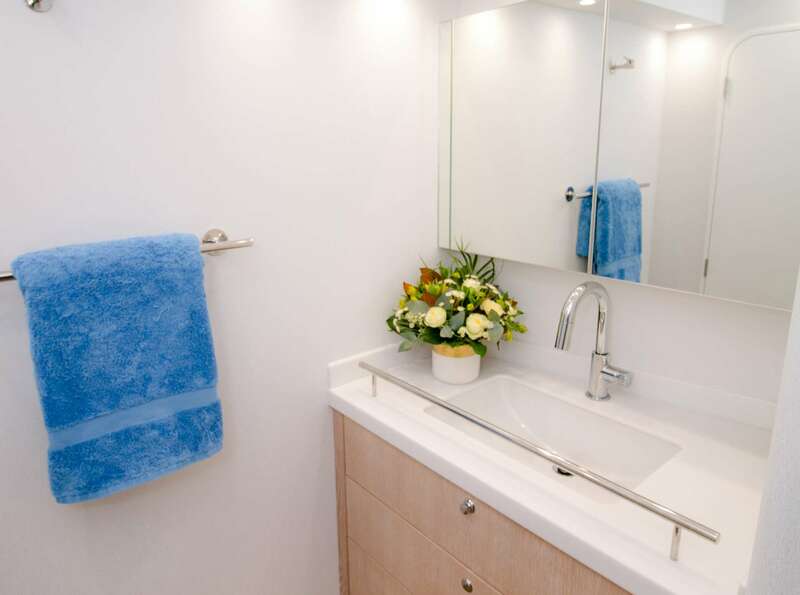 Each room has its own ensuite bathroom. 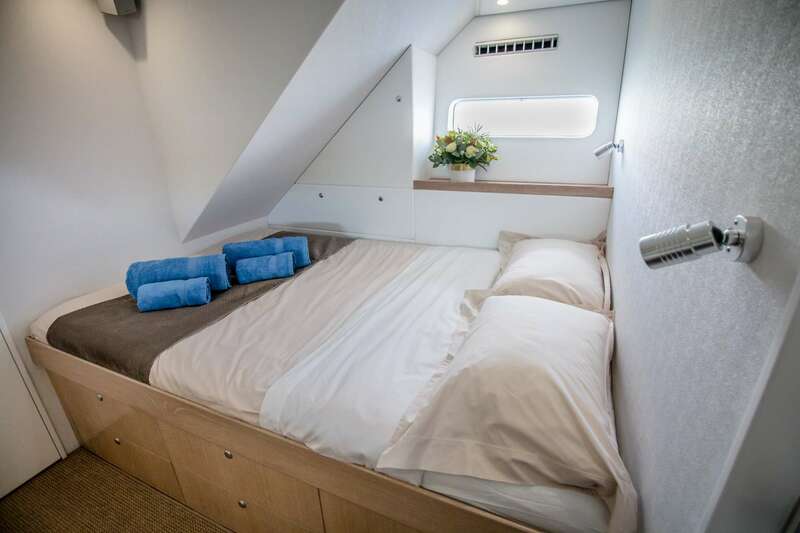 For larger groups, the master king bed can be split into two twins and the port guest has an optional pipe berth.